Good evening everyone! I hope you are all having a fabulous Monday! Today I am dropping in to share an untried beauty from my stash. I have a huge love for crellies and sadly in today’s market, there just isn’t enough of them so it has me digging through my stash to get my fix. While digging through I came across a lovely KBShimmer that I have yet to share with you guys. I picked this one up last year during the Indie Shop but due to all the lacquers I bought that day, this one slipped through the cracks on swatching. 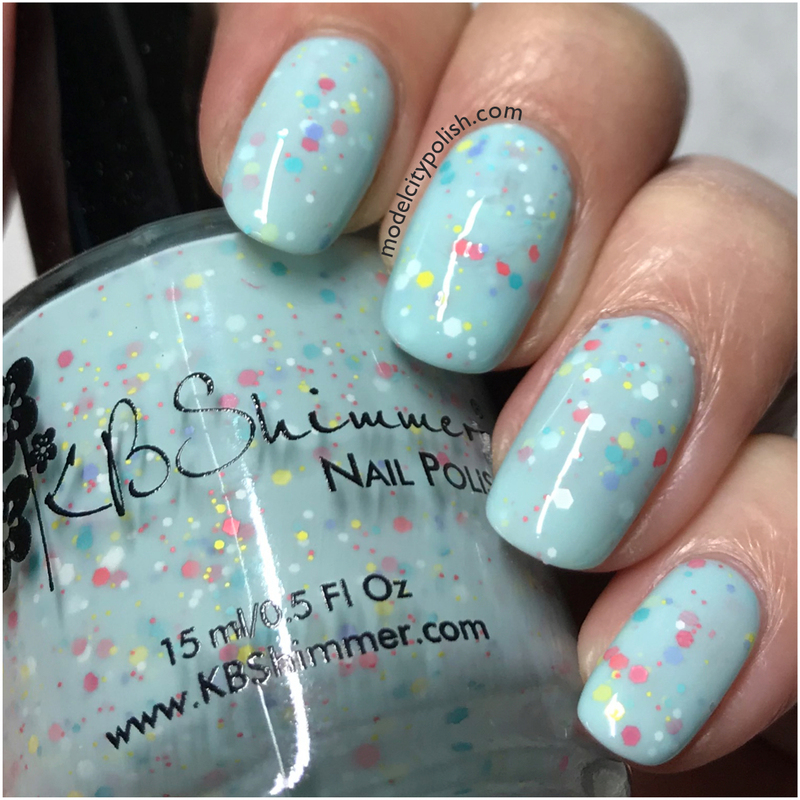 Salt Water Sassy by KBShimmer is a beautiful light blue crelly filled with coral, white, blue, purple and yellow hex matte glitters in various sizes. 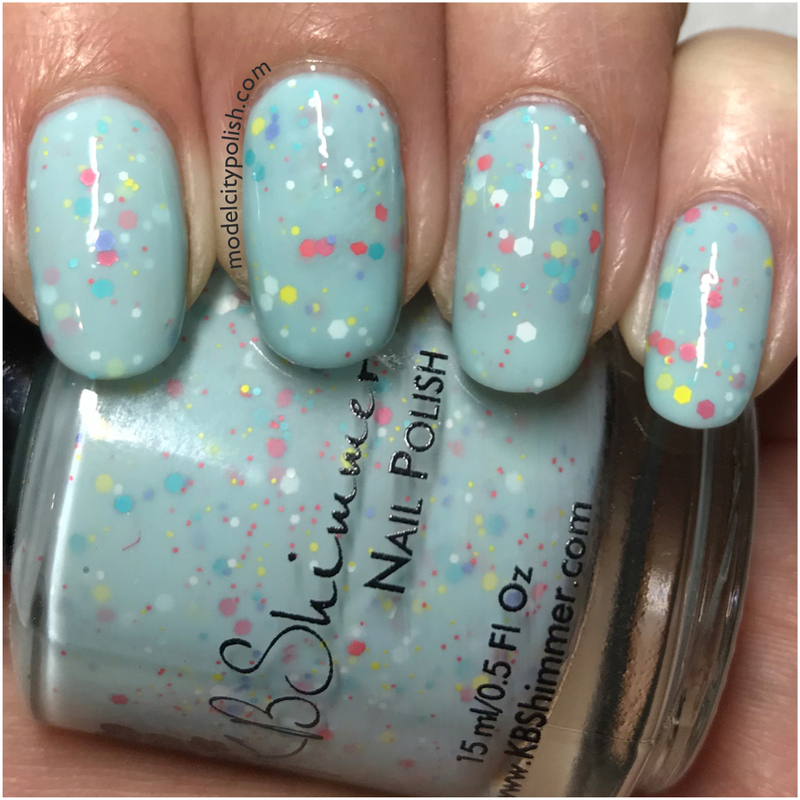 Application was super smooth, as with all of KBShimmer’s crelly blends, and I was able to build full opacity with no issues. In my photos I am wearing three coats of Salt Water Sassy and one coat of clear. This crelly is amazing, I love that it looks like a easter egg, but you can dress it up! It totally has an Easter/Spring vibe! I love it! I feel you with the lack of crellies in todays market! Crellies are what started my indie polish obsession and there just aren’t very many these days. Agreed! Those are what lured me in to the indie market also! Don’t get me wrong, I love my holos but crellies are so unique! 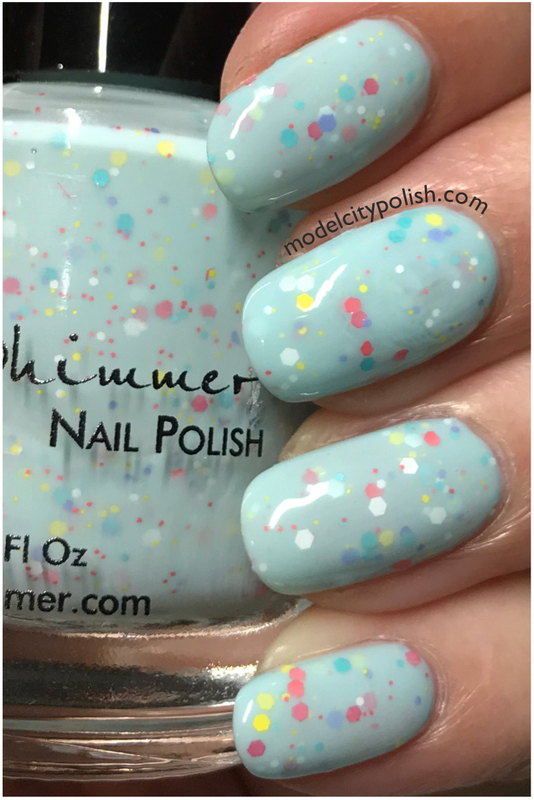 I never know when I’m wearing a crelly, I just know that I’m wearing a beautiful polish like this KBShimmer. KBShimmer certainly has some of the best crellies out there!!! They never disappoint! KBShimmer certainly has a way of making stunning crellies! I’m a little hit or miss with crellies, but I always love theirs! They really do!!! Amazing formula and coverage every time!! This one is such a fun crelly! I love it! I love it too! I am kicking myself for not wearing sooner! This is a fun one! Makes me think of Taffy and I’m not sure why! It does have a taffy vibe!!!! How adorable! 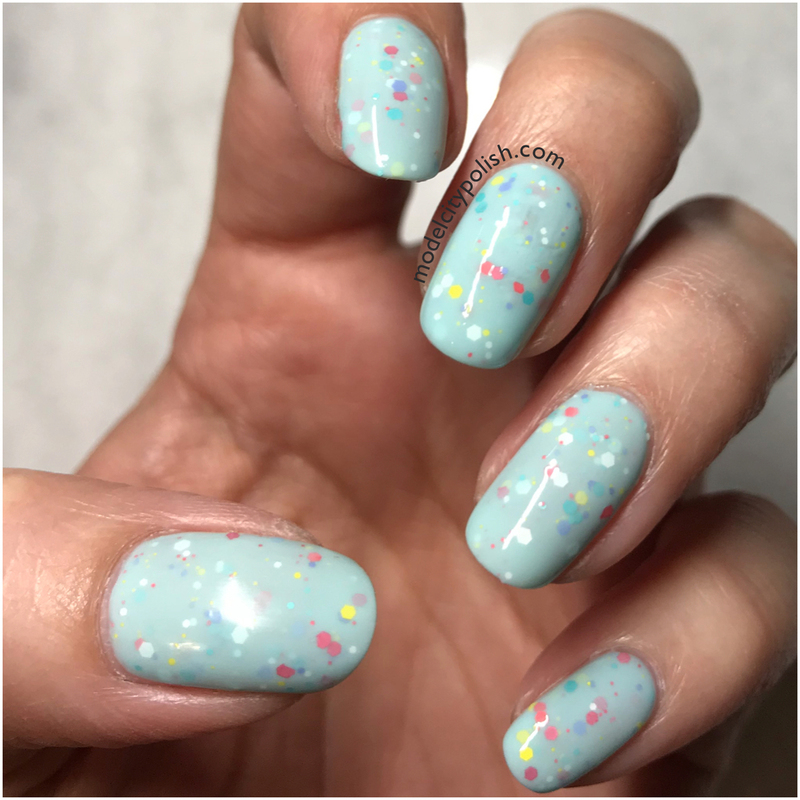 I would totally wear this polish for Easter. It’s perfect for all spring!!! What a pretty blue crelly! Now I totally want to pull this one out! You should! It’s perfect for Spring! Omg, this is so cute for spring! Agreed!!! Just perfect for the season!! I’m pretty sure it’s been way too long since I ordered from KB I need to rectify that. Yes you do!!! They have so many amazing shades! !